Libertarian senator from Kentucky known for clashing with both Republicans and Democrats. In March of 2013 he engaged in a talking filibuster to block voting on the nomination of John O. Brennan as the Director of the CIA due to his use of drones. From 2015 to 2016 he was a candidate in the 2016 Presidential election. He was an ophthalmologist by trade and still maintains an office in Bowling Green, Kentucky. He filed a class-action suit against the Obama Administration in January 2014 because of what he saw as unlawful spying on the part of the NSA. He has been married for twenty years to Kelley Ashby and they have three children together. 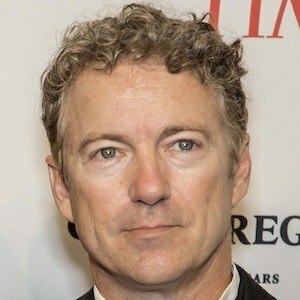 He first got attention in political circles after working on the campaign of his father, Ron Paul.